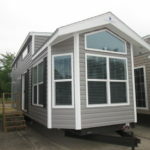 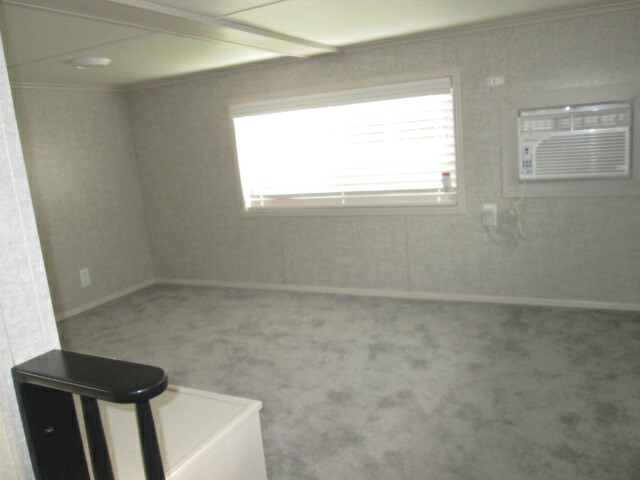 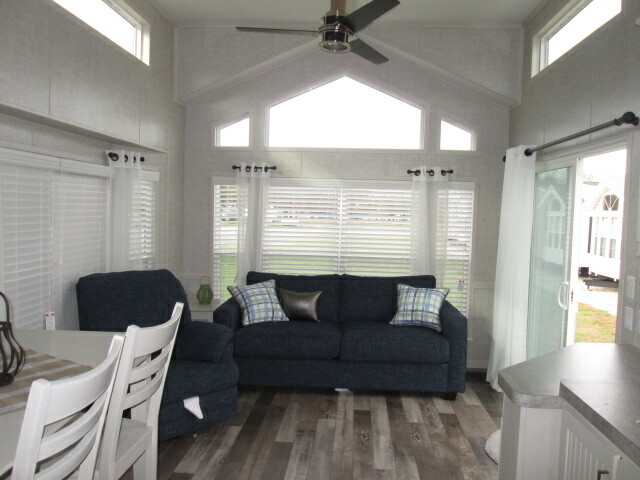 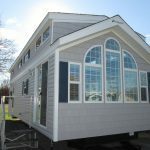 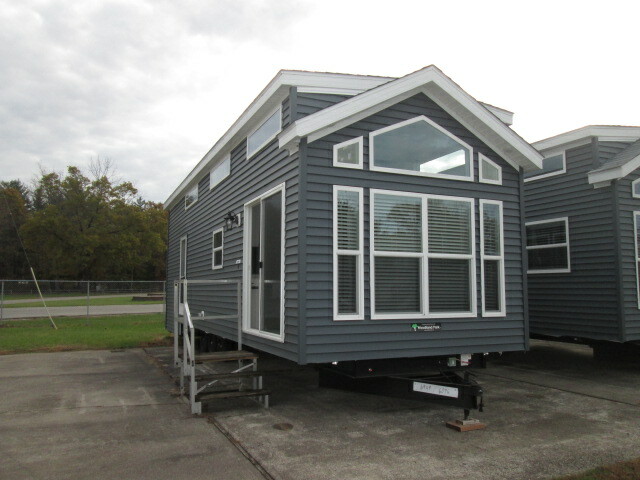 Timber Ridge model TR-252 This unit boasts a 6 window bay that spans the Front Living Room and Dinette areas to make things bright and spacious. 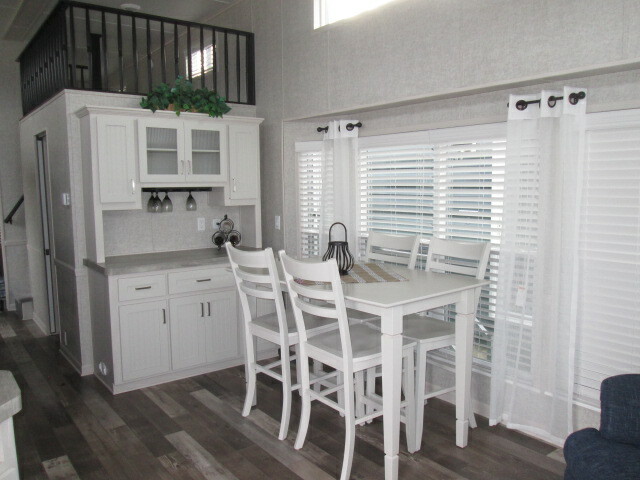 The Midnight Blue decor is a nice contrast to the Comfort Cafe cabinetry. 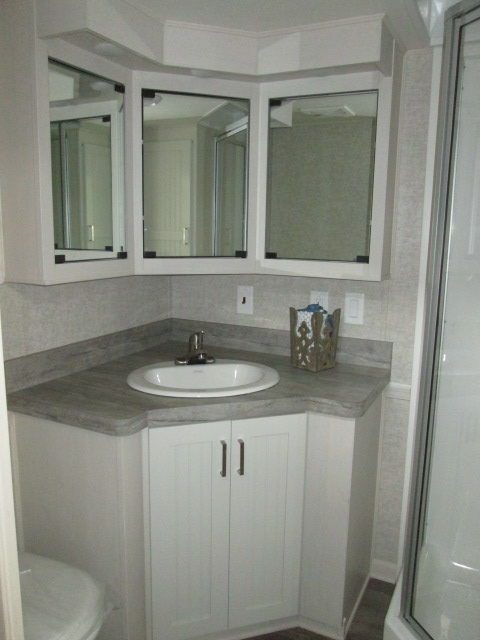 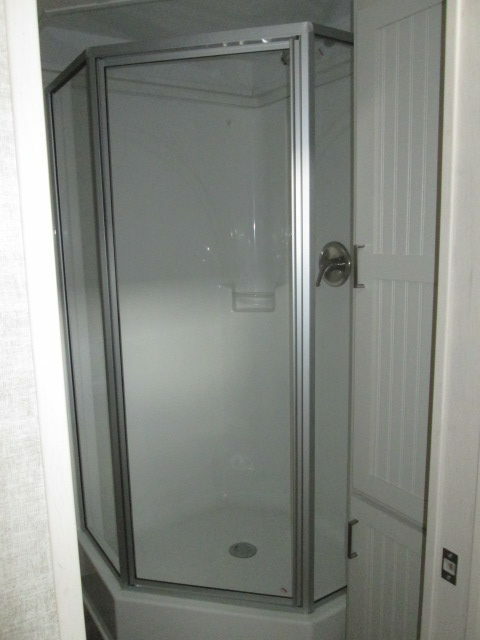 The bathroom features a corner shower with glass door and a 3 mirror vanity. 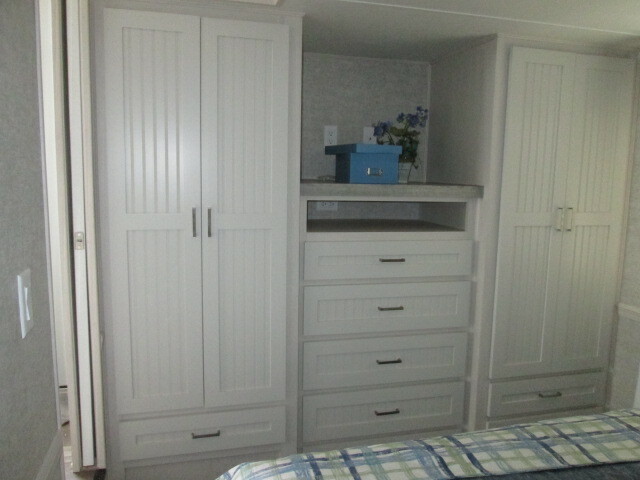 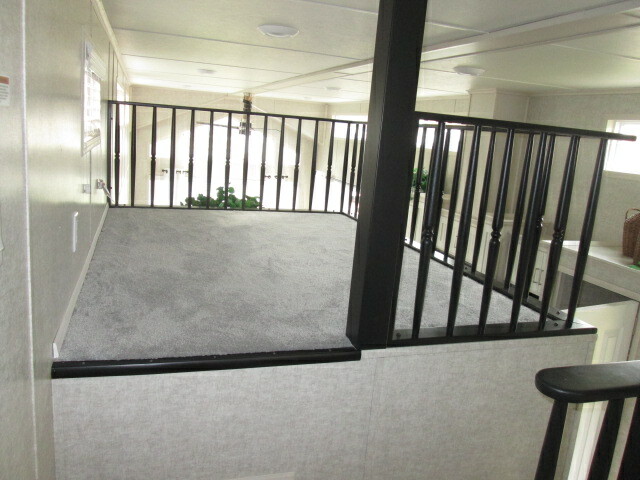 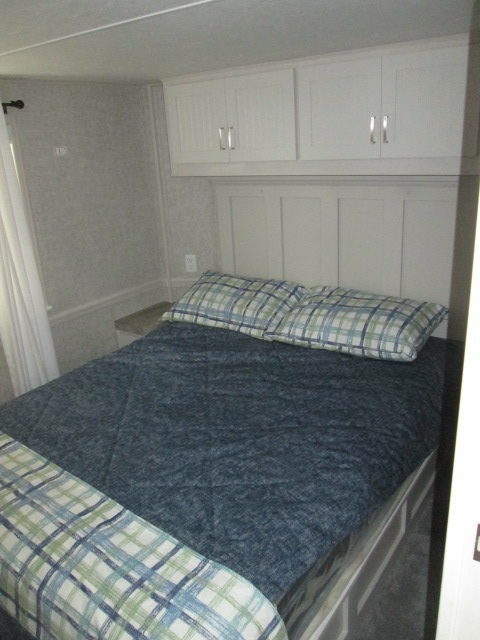 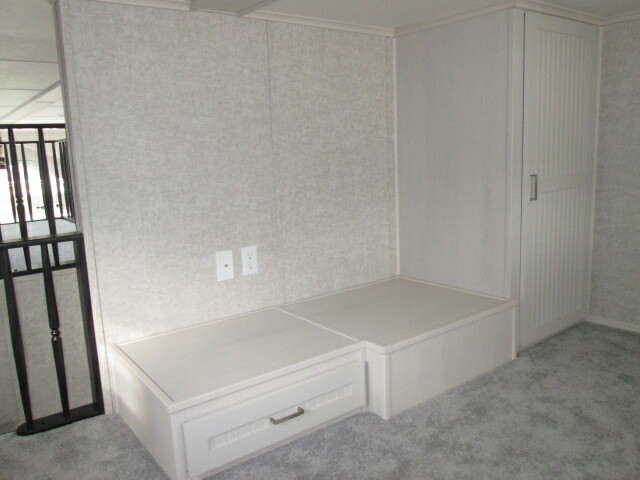 The Master Bedroom has a 60″ x 80″ Pillow-top mattress with lift bed storage below. 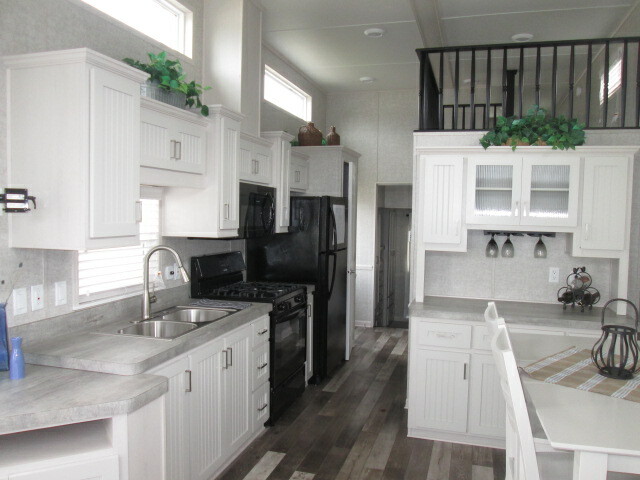 This park model abounds with luxury features including Vinyl Window Sills, Crown Molding around the cabinets, Dimmer Switches in the Living Room, Dinette & Kitchen plus many more!